A lot of smart writers can’t stand list posts. What’s a list post? It’s also known as a numbered list post, or a (shudder) listicle, and it’s a post whose headline features a numbered collection of things. This post, for example, is a list post. There are an awful lot of crummy ones out there. The celebrity sites make frequent use of them (These 17 Celebrities Used to Be Hot, etc.). In fact, all of the CRaP blogs use them liberally. Smart marketers have always focused on underlying human psychological drivers. And those drivers change very little, if at all. One of them, for whatever reason, is that we get a tiny bit mesmerized by numbers. When we see a number in a headline, part of our brains gets activated (what persuasion scholar Robert Cialdini calls a Click, Whirr response), and we’re that much more likely to take an action — like, say, clicking on that headline to check out the whole piece. Take a look at the Popular Posts section to the right of this article. You’ll see lots of numbers. Now did those posts become popular because they had a number in the headline? No. 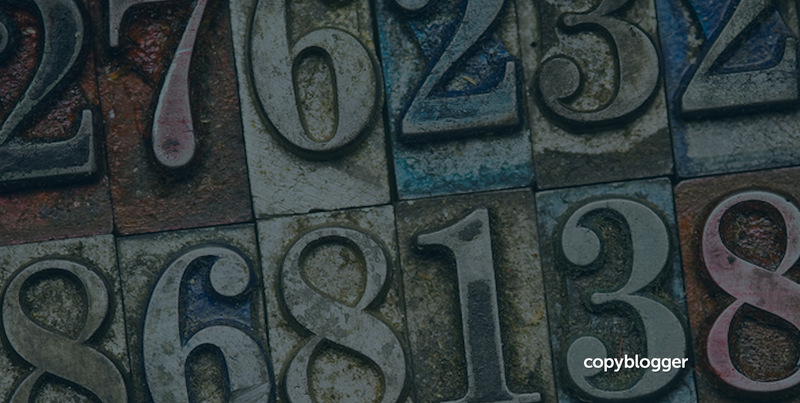 A number is a nice booster, but it’s not a substitute for strong writing, solid content strategy, or effective promotion. Your very first order of business is to go to your favorite writing forum and bemoan the fact that the word listicle is now part of your life. I’m sorry. If we can figure out a way to burn this out of the English language, we will. Even if this is technically your assignment, the worst way to create a list post is to open your writing tool of choice and put the numbers one through 10 in there, then look for ways to fill them in. It’s probably the fastest way. But it is not the right way. You must begin with the itch that needs scratching. There needs to be a seed of a problem, an unanswered question, a fascination to know more. Pro tip: Some of your best-performing list posts can come from strong, interesting, problem-solving content that you realize, after it’s mostly written, can be lightly re-organized into a numbered list. As the content creator, it’s your job to understand those “itches” of your audience. You have to know what’s worrying them. You have to know what excites them. You have to understand what they’re afraid of, and what they cherish, and what they are unwilling to lose. Human existence is full of problems to solve. Some of them are simple and some are so complex that they take a lifetime to untangle. Every collection of humans (in other words, every audience) has its own set of problems. If you want a list of what kind of content to create, build a list of your audience’s problems. Answer those problems in your content, using numbered lists (and any other persuasion technique you learn) when they make sense. Keep listening for problems, and keep researching more effective ways to resolve those problems. That, more than anything else, is what creates your authority in a topic. #3. What makes it fascinating? The cornerstone of good content is usefulness. But usefulness without interest is Wikipedia, and that’s already covered. If you consistently put fantastic headlines on mediocre or boring content, all you do is train people that much more quickly to avoid your site. Luckily for us, relevant problems are inherently interesting. If your target audience is people with celiac disease and you put a recipe for really good gluten-free baguettes in front of them, they’ll find you. A strong writing voice will elevate content from “moderately useful” to “must-read.” So will a compelling metaphor that makes the content easier to understand. And storytelling is the big gun — the one that makes your content unforgettable. This is where the art comes in — and why writers who have the combination of killer and poet are the ones who enjoy the most success. The killer knows what kinds of content to create to move toward certain outcomes. But it’s the poet who creates something worth the audience’s time and attention. Pro tip: Make time to write purely for pleasure. Screenplays, poetry, fiction — whatever way you like to play with words. Writers who know how to play with language also know how to fascinate. #4. What’s the strategic goal? Creating content just to get traffic and make advertisers happy is the hardest way to make a living on the web — and one you should get away from as quickly as you can. Content marketing is a different game. It doesn’t just attract eyeballs; it exists to support a business — to attract new prospects, and educate and nurture them until they’re ready to buy. Different types of content serve different purposes. Some content exists to find people who don’t know you yet. Others, to strengthen your relationship with your audience. And some content addresses objections and educates prospects on why you’re the best choice to solve their problem. Even good writers can have a tendency to throw a bunch of content against the wall and see what sticks. That’s not a smart use of your time. Understand content strategy and why you’re creating every piece of content you write or record. Pro tip: Take advantage of the excellent free resources that are available on content strategy. We happen to be pretty proud of ours — why not swing by and scoop up our free marketing course and library. Two books by Brian Clark — A Content Marketing Strategy that Works and How to Create Content that Converts — will be especially helpful to you as you work through your content strategy. You can get the complete marketing library here. Once you have something worth reading — that solves a worthwhile problem, is expressed in an interesting way, and has the spark of poetry to make it memorable — you’ll want to wrap it up in a way that’s pleasurable to consume. Long walls of gray, tiny type are not pleasurable to consume. Neither are videos or audio with awful sound quality. Sleek presentation and formatting won’t save mediocre content — nothing can do that. (Not even a terrific headline.) But they’ll make good content much more enjoyable for the audience. Pro tip: Pamela Wilson wrote up an excellent, succinct guide to presenting text content in a way that’s more appealing to your audience — without dumbing it down in any way. Once you have something worth your audience’s time, it’s time to think about promoting it. Content promotion is a big topic — I wrote a whole ebook on it. In the brief space we have here, I’ll just encourage you to take content promotion seriously. Develop a network of publishers in your topic, cultivate a reputation as someone who creates epic material, and remember that nothing sells itself. Even great content benefits from a bit of a push. Pro tip: You actually should read my ebook on this; it will help you. It’s called Effective Content Promotion, and it’s also in that free members-only marketing library. 7. What’s the next step for the reader? The tough part about content is, you’re only as good as your last great post. So if you do the first six steps perfectly, and end up with a nice audience of fascinated readers who want to know more, you need to have thought through precisely what you want them to do next. Usually, the right answer is to send them to even more smart, worthwhile content in the form of an email autoresponder. But your call to action might be different. Your desired action might be to subscribe to a page, to register to vote, to get out and take a walk, to give our kids a hug, or just to click through to some more great content. The important thing is to decide, before you publish and promote, what that next step for the audience is. Pro tip: Clear, straightforward calls to action are a hallmark of the professional copywriter. Get very good at them. If there’s any doubt in your mind about what you should do next, let me take care of that for you. Go snag all of our free marketing education, delivered by email, that will keep you sharpening your skills. Go grab all of the good stuff here.